Russian Faith is getting the attention of high profile priests, authors, government officials, and news agencies. Articles are being translated into multiple languages and shared around the globe. This is all happening because moms and dads are pouring hours every day into creating one of the best Christian news sites on the internet. This article is republished from a new site about the Christian renaissance in Russia, called Russian Faith. Their introductory video is at end of this article. In a little over a year, what has Russian Faith accomplished? How wide is the reach? How big is the impact? We have published over 1000 articles which have already garnered more than 1.7 million views. These are amazing numbers for a website that was brand new just a year ago. Fr. Peter Perekrestov serves as a senior priest in San Francisco, at the Joy of All Who Sorrow Holy Virgin Cathedral. This is one of the most beloved Orthodox churches in North America, and is the resting place for the blessed relics of St. John Maximovitch, a holy man who once moved from Russia to America. "Orthodox Americans have an amazing love for Russian Orthodoxy, and because of Orthodoxy, they have a love for Russia! A couple of years ago, a priest from America — Father Joseph Gleason — moved with his family to the Yaroslavl region. He is a full-blooded American, and he came to live permanently in Russia with his wife and eight children. For Americans, he runs a new, incredibly interesting site in English, with a focus on Orthodoxy. The site is called 'Russian Faith'." Sharon Tennison — founder of the internationally acclaimed Center for Citizen Initiatives — has invested more than 30 years of her life, working to improve the relations between Russia and America. Her book, The Power of Impossible Ideas, tells her story of more than three decades, working on two continents. 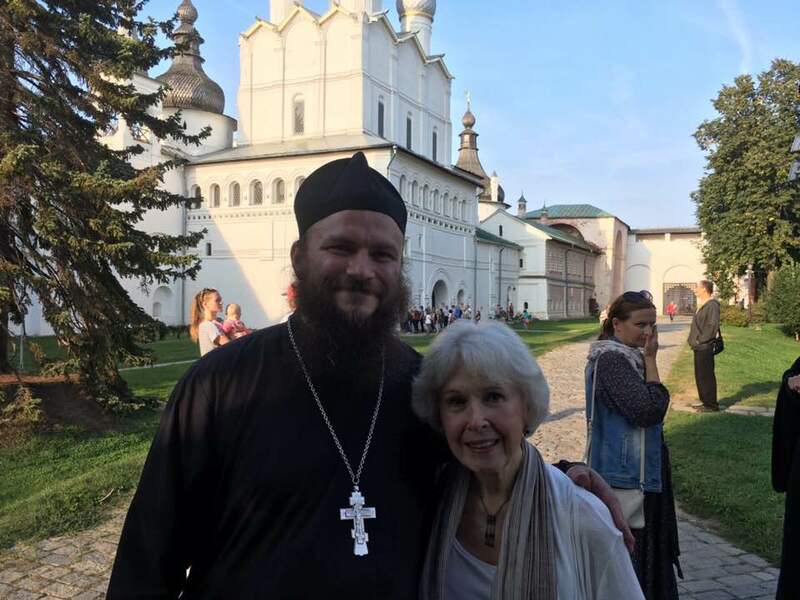 This summer, Sharon and her associates traveled to Rostov and paid a special visit to Fr. Joseph Gleason, the Editor of Russian Faith. They sat around a table, discussing various issues that are motivating Americans to move to Russia. Fr. Joseph helped give Sharon a tour of the famous Rostov Kremlin. They plan to keep in touch, and to have future conversations about the relations between Russia and America. 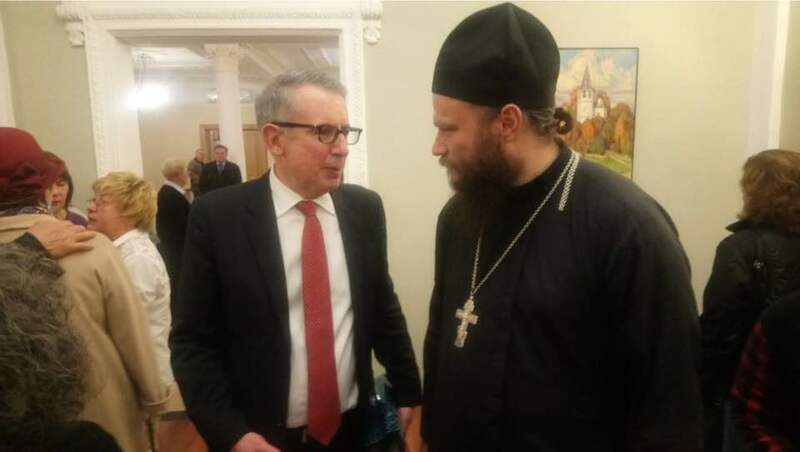 This autumn, the Editor of Russian Faith met with Thomas Leary, a prominent United States diplomat. Fr. Joseph met Mr. Leary in Yaroslavl, providing a tour of the famous Church of St. Elijah the Prophet, followed by dinner at a local restaurant. Then they went together to a performance of George Gershwin music at the local symphony hall. They had multiple opportunities to discuss issues relevant to both Russians and Americans. Afterwards, they kept in touch via email, and they are planning to meet again this November, when Mr. Leary comes through Rostov. Recently, the Editor of Russian Faith was interviewed on a Russian TV news station. They were pleased to hear that this family with eight children had moved from America to Russia, and they sent a television crew to Fr. Joseph's home in Rostov, to talk with him and his family. During the interview, the news correspondent also spoke with Fr. Roman, the Dean in charge of Orthodox churches in the Rostov area. He spoke positively about the influx of Americans and western Europeans now coming to visit Rostov, and he had good things to say about the Russian Faith website. 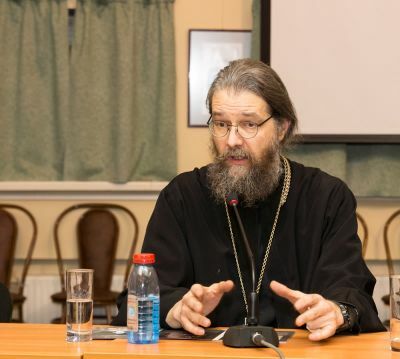 The Editor of Russian Faith has also been invited to speak at Moscow's Faith & Word Festival, an international media conference which takes place once every two years. 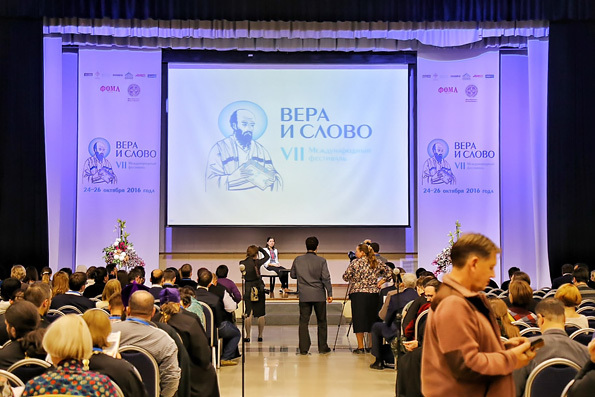 The conference seeks to improve secular coverage of Orthodox Christian journalism, to identify viable forms of cooperation between the Orthodox Church and modern society, and to encourage the further development of Orthodox Christian media. This year's festival is scheduled to be held October 28 through November 1 near Moscow. Fr. Joseph has been invited to speak about our Russian Faithwebsite, talking about how we bring contemporary Orthodox issues to the attention of secular news outlets, for the benefit of English-speaking audiences. Russian Faith news stories are being picked up by numerous websites, both big and small, including LewRockwell, OrthoChristian, Pravmir, Russia Insider, The Daily Coin, The Right Edition, The Catalog of Good Deeds, Signs of the Times, The Remnant, Mystic Post, and a number of bloggers both home and abroad. Priests are even quoting Russian Faith articles in church bulletins on the local parish level. Russian Faith is making an international impact, with numerous articles being translated into Spanish, German, Dutch, and Italian. We have also worked hard to create transcripts and English subtitles for numerous videos, a number of wholesome television shows, and Christian TV programs for kids. The most amazing thing is that Russian Faith accomplished all this in just a little over a year, at a grassroots level, without seeking any financial backing from governments or corporations. Relying solely on individual donations and volunteer work, we have been able to achieve what no one thought possible. Unfortunately, donations are not yet at a level that is sustainable long-term. The funds originally contributed to kickoff the website have been used, and current donations are only sufficient to fund the ongoing existence of Russian Faith for another 2 to 3 months. So if Russian Faith is going to continue its success into the future, it is absolutely necessary for more donors to partner with us, helping us to bring relevant Orthodox Christian news to the world in a professional way. We do not receive any funds from governments or corporate sponsors. We rely entirely on donations from people like yourself. Some people are able to give $1000, some are able to give $100, and some are able to give $5 or $10. Whatever your ability, we need your help, so that Russian Faith can continue to exist. If you haven't contributed recently, please do. We need all the help we can get. It is most helpful if you can consider setting up a recurring monthly gift. Whether the gift is big or small, it helps so much for us to know that we can depend on that gift coming in every month. It helps us budget more carefully and mindfully, knowing better what the coming month will bring. The Russian Faith staff is made up of moms and dads who need to feed their families,and volunteer work unfortunately does not pay the bills. Recently, some of our volunteer workers had to reduce the time they spend writing for Russian Faith, for personal financial reasons. The remaining workers want to see the website succeed, and they are currently working extra hard to pick up the slack, but this can only go on for so long. If Russian Faith is going to reach its potential — Indeed, if Russian Faith is going to survive — it will only happen because people like you take action, and donate to this noble cause. Please do everything you can to help us, so that we can provide the best possible Orthodox Christian news service. Thank you very much for your support. We are truly grateful! Want to see more articles like this? Please help us, and do what you can to keep the Russian Faith website alive. It takes a full time staff to sustain this website, and our workers need to feed their families. We have not yet met our fundraising goal, and we need your help. A recurring donation of even $5 or $10 per month would be a blessing, and will help keep us going.